A Grade 2-winning and Grade 1-placed runner on the turf! A graded stakes performer every year from ages 2 to 5, EXCAPER proved to be one of the top 2-year-olds of his crop with a runner-up finish in the Grade 1, $1 million Breeders’ Cup Juvenile Turf at Churchill Downs. EXCAPER won or placed in 11 stakes, with a victory in the Grade 2 Connaught Cup at Woodbine, going seven furlongs on the grass in a near course-record time of 1:19.53. 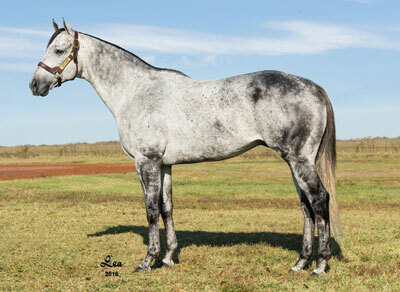 A son of top sire EXCHANGE RATE out of a multiple stakes winner-producing BOLD RUCKUS mare. Watch for his first crop of 2-year-olds on the track in 2019!